95% organic. With vitamin C to hydrate and repair. Normal to dry skin. Healthy skin is beautiful skin. Suitable for vegans. With tripeptides to stimulate the production of collagen giving a smoother, fresher, more youthful appearance. 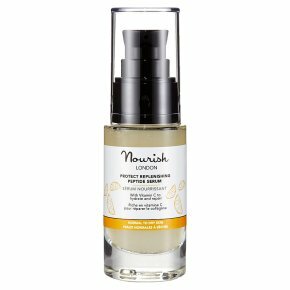 Potent antioxidant vitamin C derived from fresh, organic lemon fruit helps protect skin from damaging free radicals caused by stress and pollution. Super-hydrating hyaluronic acid plumps the skin to reveal a soft, velvety smooth finish.